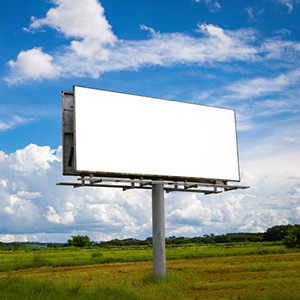 Marketing Series Part 8 – Advertising - A Digital Marketing Agency | IIAS - International Internet Advertising Services Inc.
Generally speaking, advertising is any form of promotion where you pay to display content at a particular venue. In this article, we’ll discuss the different kinds of advertising and the best methods to use for different types of companies, products, services and audiences. Let’s look first at each of these separately. Older seniors who remain more apt to read the local newspaper in print. Sales ads, coupons, and special events will likely get more traction for this group on the first few pages of a printed, community newspaper. Sensitive personal ads. Every noticed the ads on the back of the bathroom stall door in bars and restaurants? They’re hard to miss, particularly for women, so a great spot to advertise personal hygiene, sexual health, or other products that may offend or embarrass in public venues. Geographic specificity. If you’ve just opened a new coffee shop adjacent to a transit exchange, posters in the bus shelter, train station or transit car can be very effective. Free anything. If the best way to advertise your product or service is with a freebie, go for it, BUT, make sure it’s really the best way. If your product or service isn’t unique or totally special, you won’t get the results you’re looking for. Search Engine Marketing, Content Marketing, and Directory Listings are applicable to all audiences, products and services. Social Media Marketing is also applicable to all audiences, however, there are differences between platforms. LinkedIn or other industry specific sharing sites are best for Business to Business advertising. Twitter and Instagram can also be used, but only with a defined strategy. Facebook advertising is great for middle-aged to younger seniors. Teens and younger adults have moved on to Twitter, YouTube, Pinterest, Instagram, and Snapchat. News Sites are great for business to consumer advertising, but business associations and industry news sites are best for business to business ads. Actually creating ads is best left to professionals, but the information you provide is critical to success. Creatives need to know as much as you can tell them about your target market and about your products or service. Again, professional ad creators are best to do the wordsmithing, but you need to be thoughtful about what you want a prospective customer to do next. Don’t use “Call Now” if you don’t have someone to answer to phone during the hours the ad might be seen, or you’ve wasted your money. Review your sales process to make sure that your call to action can quickly and easily end in an actual sale or appointment. Your website is the core of your online marketing. If your call to action is to go to your site, make sure it’s up to the task of making the sale. Use all necessary materials as ad materials. Think facility signage, invoices, fleet vehicles, etc. You don’t have to reinvent the wheel. Business card magnets that stick to the fridge are still a great idea for routine services like chiropractic care or oil changes. You can download our Advertising Worksheet here. Use a separate sheet for each segment of your target market. Then, give us a call. We’ll be happy to learn more about your business and recommend a tailor-made advertising program for you.